Probing deeper into the South African cave system known as Rising Star, a subterranean maze that last year yielded the largest cache of hominin fossils known to science, an international team of researchers has discovered another chamber with more remains of a newfound human relative, Homo naledi. The discovery, announced today (May 9, 2017) with the publication of a series of papers in the journal eLife, helps round out the picture of a creature that scientists now know shared the landscape with modern humans — and probably other hominin species — between 226,000 and 335,000 years ago. The discovery of the new fossils representing the remains of at least three juvenile and adult specimens includes a “wonderfully complete skull,” says University of Wisconsin–Madison anthropologist John Hawks. 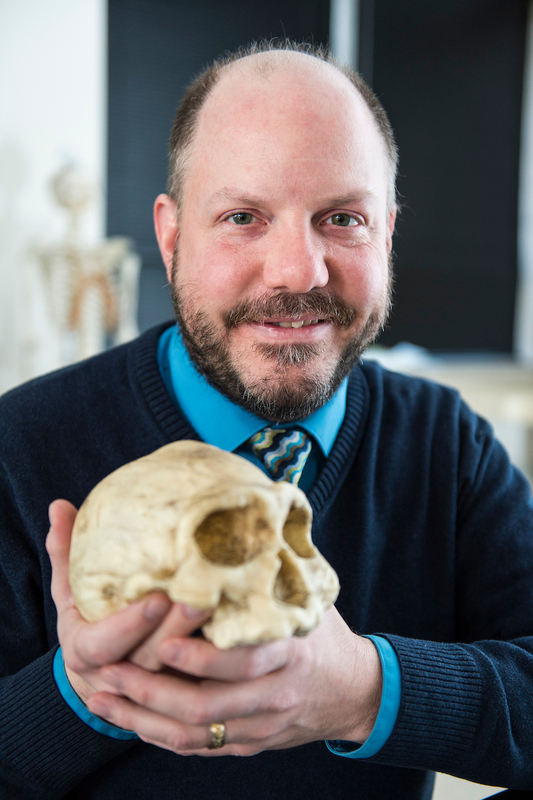 Hawks, a leader of the research team at Rising Star and the lead author of the paper describing the new fossils, says finding more remains of multiple individuals in a chamber some distance from the chamber containing the original Homo naledi fossils lends heft to the idea that Homo naledi was caching its dead — a surprising behavior that suggests great intelligence and possibly the first stirrings of culture. 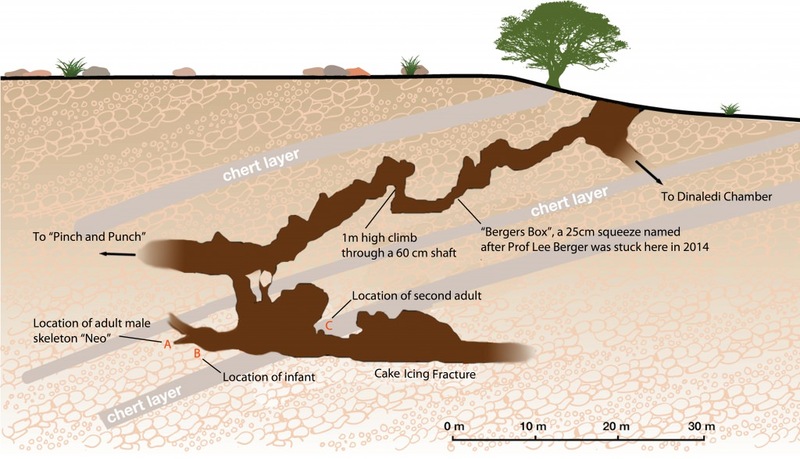 The new chamber, dubbed the Lesedi Chamber, is nearly 100 meters from the Dinaledi Chamber where the first Homo naledi fossils representing at least 15 individuals of various ages were found. So far, the team led by Hawks and Lee Berger, a noted paleoanthropologist from the University of Witwatersrand and a senior author of the paper with Hawks, has retrieved more than 130 new Homo naledi fossils from the Lesedi Chamber, a name that means “light” in the Setswana language. The new chamber is also exceedingly difficult to access, requiring those excavating the fossils to crawl, climb and squeeze their way in pitch dark to the fossil cache. 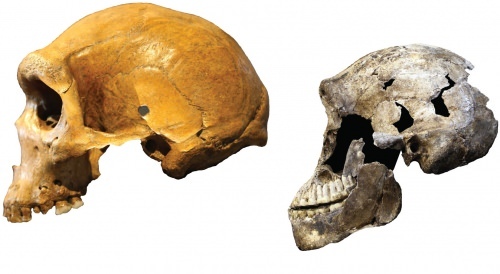 The newly-reported remains were first discovered in 2013 while excavations were underway in the Dinaledi Chamber. The new fossils come from at least three individuals — two adults and a child — and the researchers believe more will be recovered as excavations progress. The child, estimated to be under five years of age, is represented by bones from the head and body. Of the adults, one is identified only by a jaw and leg bones. The skeleton of the third individual, dubbed “Neo” after the Sesotho word meaning “a gift,” is remarkably complete. The skull has been painstakingly reconstructed, providing a much more complete portrait of Homo naledi. 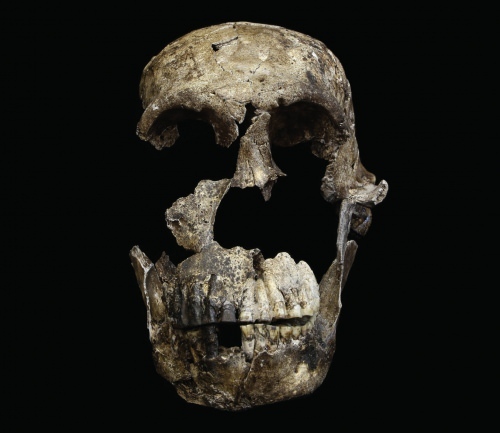 “We finally get a look at the face of Homo naledi,” notes Peter Schmid, who holds a joint appointment at the University of Witwatersrand and the University of Zurich, and who spent hundreds of hours reconstructing the fragile bones of the skull. “The skeleton of ‘Neo’ is one of the most complete ever discovered, technically more complete than the famous Lucy fossil given the preservation of the skull and mandible,” explains Berger, the University of Witwatersrand paleoanthropologist overseeing the Rising Star excavations. 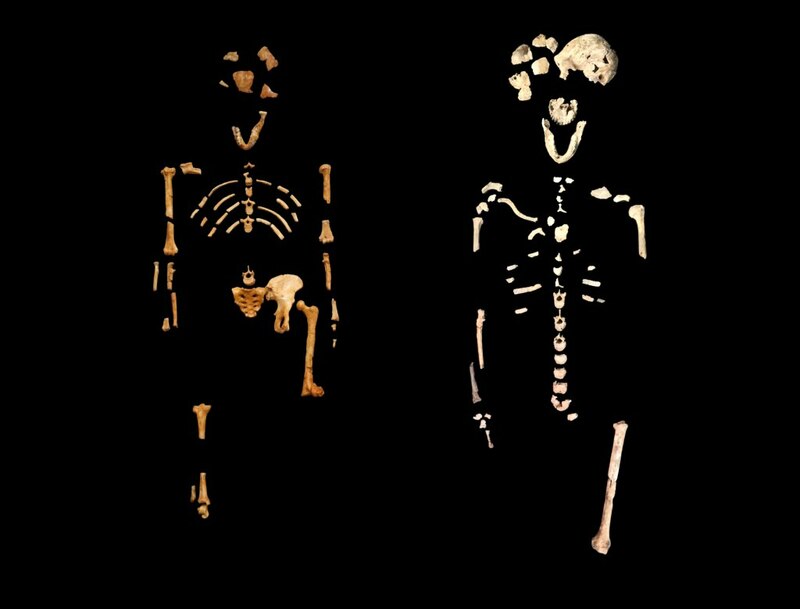 Combined, the two caches of Homo naledi fossils give science its most complete record of a hominin species other than modern humans and Neanderthals. The Lesedi Chamber is nearly 100 meters from the Dinaledi Chamber, where the first Homo naledi fossils were found. So far, the team led by John Hawks and Lee Berger has retrieved more than 130 new Homo naledi fossils from the Lesedi Chamber. The notion that Homo naledi were caching their dead in underground chambers that are exceedingly difficult to get to has one parallel in Neanderthals. In a deep Spanish cave known as Sima de los Huesos, there is evidence that Neanderthals were caching the bodies of their dead companions 400,000 years ago.